Possessing a complete recording of Beethoven’s Cello Sonatas gives far more satisfaction than merely having the set to fill the shelves. On the one hand it offers one the opportunity to compare Beethoven’s art of composition at various stages in his life. And on the other hand one can already recognise in the early Opus 5 how he breaks with the traditional sonata in which the solo instrument merely provides an accompaniment and treats the two instruments as equal partners in the creation of the movements. 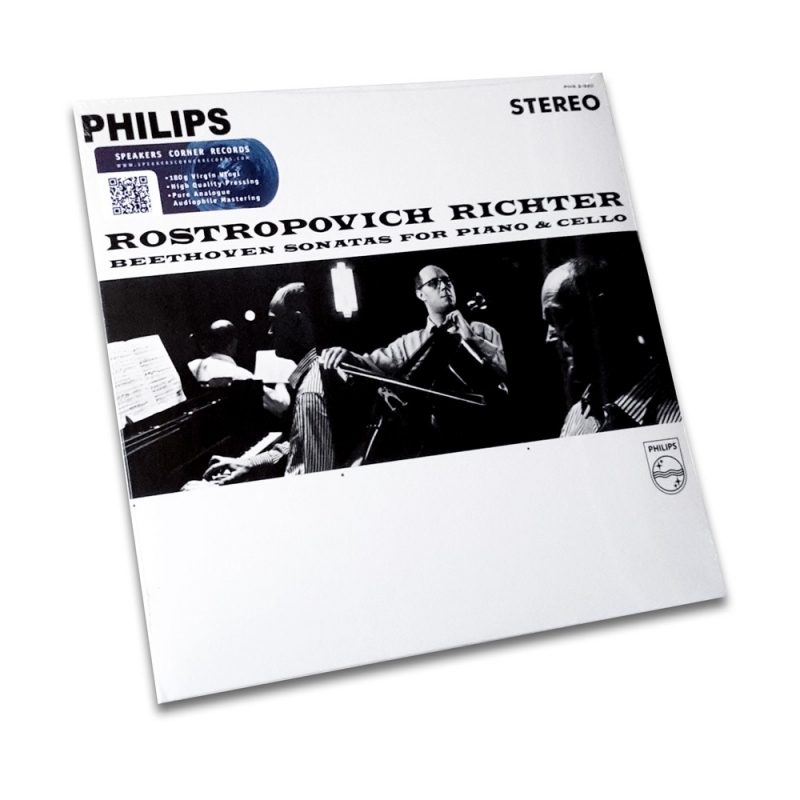 Richter and Rostropovich devote themselves to their task with verve and freshness. The two early works are marked by the rich and full sound of the cello and an elegantly performed piano part, while the two Russian musicians foster a contemplative, introverted style in the A major Sonata. This respectful approach also lends itself well to the C major Sonata where the free, fantasia-like character with wide-ranging shading is shown off to advantage. Beethoven’s break with the traditional sonata-form layout is carried to extremes in the D major Sonata, where the cello ignores the powerful theme on the piano in the first movement. The work’s brittleness is effectively revealed by the two musicians in the transition from the sensitive Adagio to the austere, freely worked final Fugato, while their resolute and analytical approach to the work and technical prowess on their instruments is highly rewarding. This Speakers Corner production was manufactured 100% analogously, with the use of the analogue mastertape and analogue mastering. All royalties and mechanical rights have been paid.